Authentication problems can occur between vScope and target systems being scanned. To determine if the problem is due to configuration or something in vScope you can help us by capturing the network traffic between vScope and the problematic system and send that log to us. Click the right arrow to the right of the filter field to apply the filter. 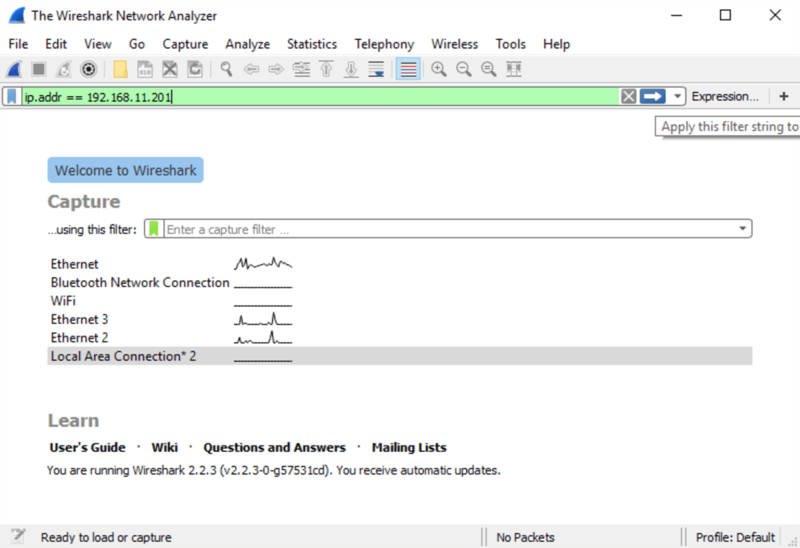 Below the ‘Capture’ heading, select the network interface you want to capture traffic from. A hint for selecting the correct interface is to select the one which does not have a flat line illustrating traffic on the interface. Double click the selected interface to start the capture. Now perform the scan/test credential in vScope. 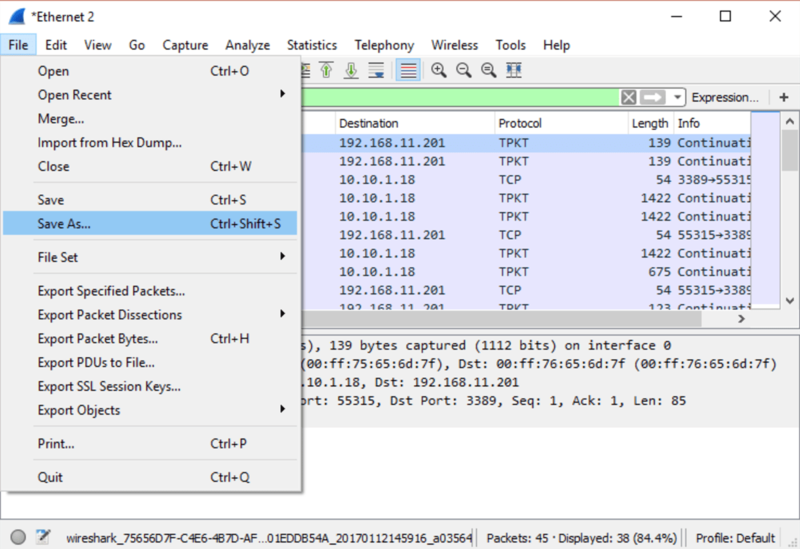 Wireshark should capture the traffic and you should see entries (packets) filling up the table in Wireshark. When the scan/test credential is complete, stop the capture by clicking the red rectangle. We will analyse the captured traffic to see if there is something not working correctly in the authentication sequence.